Over the last several days I have had the privilege of attending the 2015 International Symposium on Urban Stormwater Management and Landscape Hydrology in Beijing. There have been professionals and scholars from across the globe discussing many aspects of stormwater management and the extreme conditions facing many cities and urban centers. Creative solutions and professional collaboration have been underlying themes throughout the discussions. As part of the symposium and along with John Lenth of Herrera Environmental Consultants in Seattle and Bill Wenk of Wenk Associates in Denver, I participated in judging student projects.These were high-intensity team assignments in which three groups designed stormwater management systems for sites on the Tsinghua University grounds, the location of the symposium. The students did fantastic work, with well-informed and carefully thought out solutions to complicated hydrologic conditions. We participated in a walking tour of the university, visiting an extensive and beautiful rain garden. 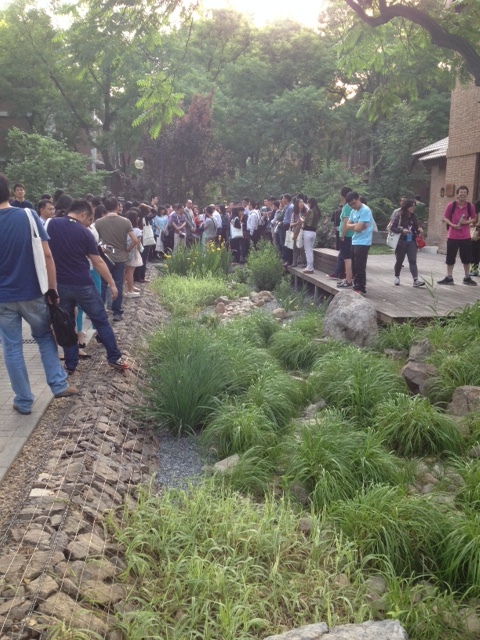 We also participated in a walking tour of the Olympic Forest Park, led by the lead designer, Professor Jie Hu. Here we learned about how the garden was designed and constructed, the extensive and intricate hydrology involved, as well as details on large scale water treatment via wetlands and water recycling. Yesterday, I lectured at the Tsinghua Tongheng Urban Planning and Design Institute. I began by introducing the way that environmental risk is viewed in the United States, meaning the concept of a source, a pathway, and a receptor all needing to be present to impart risk. A brief historical discussion followed, in which I described some of the most notorious hazardous waste sites in U.S. history–Love Canal, Times Beach, and the Valley of the Drums, followed by the primary response–the creation of the Resource Conservation and Recovery Act (RCRA), the Toxic Substances Control Act (TSCA), and the Comprehensive Environmental Response, Compensation, and Liability Act (CERCLA). 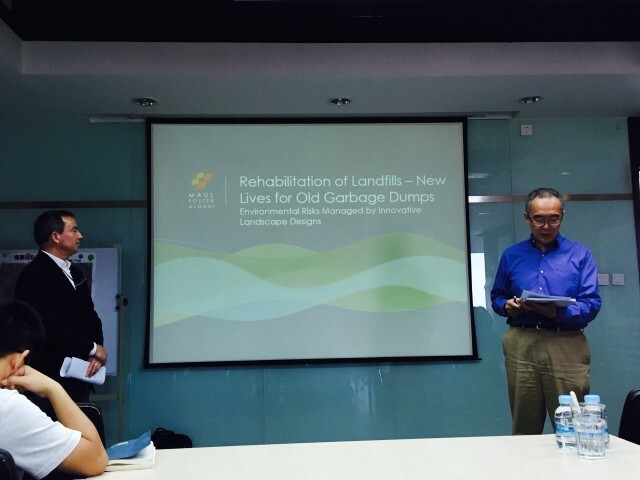 From there, we discussed project examples and the various ways in which landfills and industrial sites are safely redeveloped and converted to productive use. Finally, we discussed roles of the primary team members–landscape architects, planners, environmental scientists, and engineers. 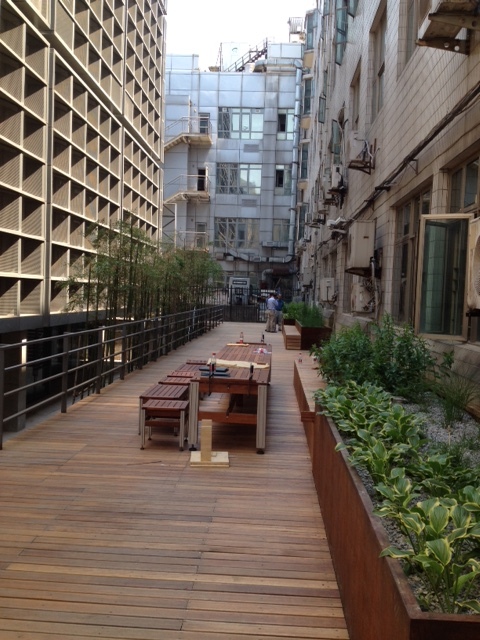 The participants were primarily landscape architecture students and professionals. They had great questions and a keen interest in the subject. We also had in-depth discussions with some of the leaders in the field, including Professor Jie Hu, Director and Chief Designer, Research Center for Landscape Architecture at Tsinghua Tongheng Urban Planning and Design Institute , Dr. Hailong Liu, Associate Professor of the Tsinghua University Department of Landscape Architecture, and Dr. Haifeng Jia, Associate Professor of Tsinghua University, School of Environment, who is also the Center for Urban Runoff Control and Stream Restoration Director. 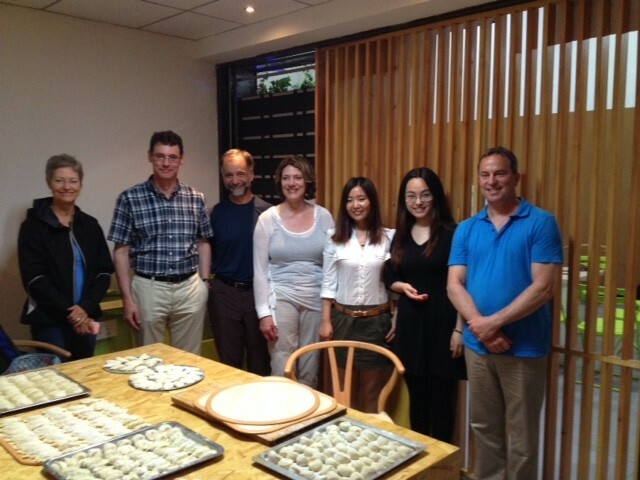 On the culinary front, we were hosted by the fantastic people at Urban People + Space–they had a dumpling-making party. All I can say is, if we needed to rely on the dumplings I made, we would have been pretty hungry; it’s a slow process for the uninitiated. Delicious and lots of fun! All in all, we are continuing to exchange valuable information, learn a great deal, and enjoy the people and culture!